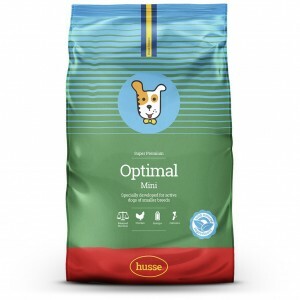 The finest ingredients with excellent fats give extra energy to smaller active breeds. Protein based on chicken and fish. 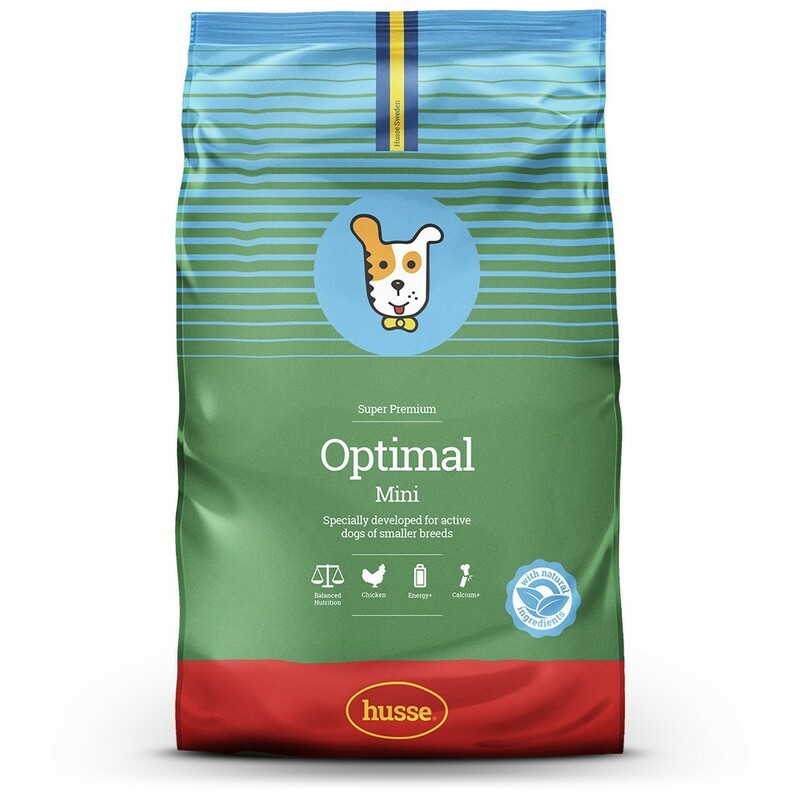 Husse Optimal Mini is a complete food for adult dogs of small breeds. High protein and fat levels meet the high energy needs of our smaller friends. Tiny kibble is delicately shaped to accommodate small teeth and jaws. Contains high quality, easily digestible ingredients such as chicken and rice. High fat content as small dogs often lead more active lives. Contains fructo-oligosaccharides and yeast which favour ‘good’ bacteria in the stomach and reduce the risk of diarrhea. Rich in beet pulp to stimulate intestinal movement. Also improves texture of stools. Enriched with grapeseed extract, Vitamins A and E which boost immune system. Chicken, rice, wheat, animal fat, beet pulp, hydrolyzed chicken protein, linseed, dried fish meal, salmon oil, yeast, salt, fructo- oligosaccharides, dried whole eggs, lecithin, tagetes extract, sea algae, grape seed extract. Crude protein 28%, crude fat 18%, crude ash 8,0%, crude fibre 2,5%, calcium 1,2%, phosphorus 0,8%. Vitamin A 12 500 IU/kg, vitamin D3 1250 IU/kg, vitamin E 400 mg/kg, copper (copper (II) sulphate) 10 mg/kg, antioxidants approved by EU.